White House Press Secretary Sean Spicer has a tumultuous relationship with the news media, in that they rudely ask him questions about current affairs and expect answers that make sense. It turns out there is a very long precedent for Spicer’s tepid love affair with the press, beginning in college, when they made a good joke about his name. The Voice staffers insisted it was a mistake. Spicer thought not, and wrote a historically ruffled letter to them, demanding a correction. On Monday, it started getting fresh traction when CNN’s Andrew Kaczynski posted it again, possibly because we’ve all really gotten to know Spicer and appreciate this bit of historic context even more. That it does. The historical record is silent on whether Spicer got the important correction he demanded. 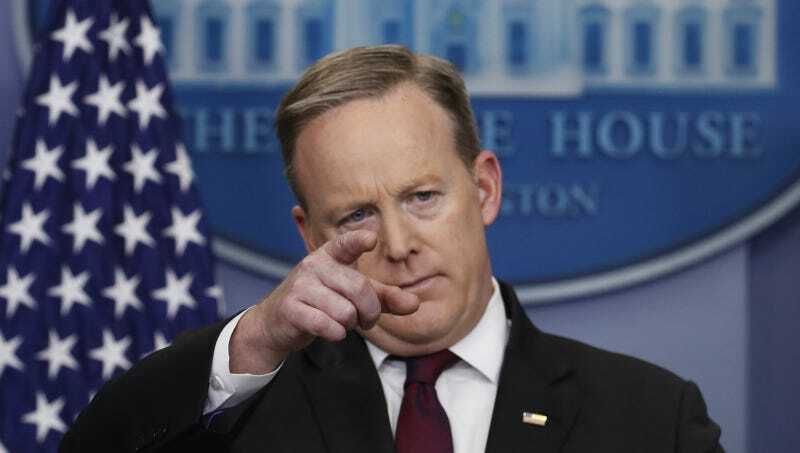 Going forward, please safeguard the knowledge that Sean Spicer does not like to be called “Sean Sphincter” and do not misuse it. We’re all adults here. Correction: An earlier version of this post mistakenly identified White House Press Secretary Sean Spicer as “Sean Sphincter.” We deeply regret the error.